Should I buy an Extended Warranty on a Car? When you are in the market for a new or used car, the vehicle’s warranty—including what it covers and how long it lasts—is an important feature to consider. No one wants to fork out thousands of dollars in repair fees within days, weeks or even years of purchasing a vehicle. Most new cars have a manufacturer’s warranty of at least 36,000 miles or three years, whichever comes first (some go as high as ten years or 100,000 miles). Used cars can be offered for sale “as is” or with implied, limited, or full warranties. Dealerships in most states can sell used cars without warranties, but many offer full or limited warranties on all or some of a car’s components to entice buyers. Sometimes a limited or full warranty is included but more often they're add-ons sold by the dealership. 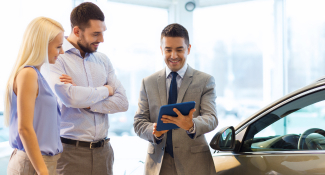 When you settle on the car you would like, a sales representative will typically refer you to the business manager to discuss sale and add-on options. The manager may encourage you to buy an extended warranty because it is a high-profit item for the dealership. Profit margins on new cars rarely exceed 15 percent, but dealerships can easily make a 200 percent return on the sale of an extended warranty. As a rule, you should never buy an extended warranty on a new or used car until you—not the sale representative or business manager—determine that you need it. An extended warranty can cover costly repairs and give you peace of mind, but it might not cover everything you need, it might limit your mechanic options, or you may never need it. An extended warranty—also known as an extended service contract, mechanical breakdown insurance, or vehicle protection plan—is an extension of the standard warranty offered by a manufacturer or auto dealership. The extended warranty gives the customer additional protection when the base warranty expires or if it's already expired on a used vehicle. Occasionally, the base and extended warranties overlap by months or mileage or both. You can buy an extended warranty from your car’s manufacturer, from the dealership, or third-party sellers. Dealership contracts may or may not have the backing of the manufacturer. On the other hand, independent providers usually have no direct relationship with the manufacturer. If an extended warranty does not have the support of the manufacturer, it becomes unserviceable if the provider goes out of business. An extended warranty covers unexpected repairs for a certain number of years or miles or both. The types of repairs covered differ from plan to plan. Some extended warranties only cover parts of the vehicle such as the engine and drivetrain. Others plans offer comprehensive protection similar to the manufacturer’s bumper-to-bumper coverage. Generally, extended warranties do not cover routine maintenance fixes or issues to do with everyday wear-and-tear (things like oil changes, tires and windshield wipers). Some extended warranties cover every dollar of repair costs while others require you to pay a deductible for each repair. Whether or not you should buy an extended warranty for a new car depends on the general reliability of your car model, how many miles a year you will average, and how long you intend to keep the car. You should consider getting an extended warranty if—from your pre-purchase research—you find that the vehicle you plan to buy has low reliability scores. You should also consider an extended service plan if you will log more than 15,000 miles a year in that vehicle and you hope to keep your car for at least twice as long as the base warranty covers. In either case, getting an extended warranty for your new car will give you peace of mind and save you vast sums of money in the repair costs you incur when your base warranty prematurely expires. Plus, some extended warranties are transferable, meaning you can pass them on to the next owner when you sell your vehicle. This will make your car more appealing to the buyer and might even allow you to charge a little more for it. Before you buy an extended warranty for a used car, check the model’s reliability ratings and do a quick scan of user reviews online. If the vehicle you choose has a low reliability score, it means it will get more expensive to maintain as it ages. If owners are complaining about a significant problem past a certain mileage, a warranty may buy peace of mind for when or if that issue arises. In both cases, getting an extended service plan could potentially save you thousands of dollars. A pre-purchase inspection by a qualified, independent mechanic can also alert you to potential problems the car might have down the road. If you have a comprehensive checkup report, you can tell if and which parts of the vehicle will need additional coverage when the base warranty expires. Most warranty providers offer coverage tiers from which you can choose depending on your needs. If you have money set aside for general repairs but don’t want to pay thousands of dollars to fix a seized engine, you can choose a basic powertrain warranty. If you feel you need the convenience of the entire package, you can opt for a plan that includes 24-hour road assistance and paid alternative transportation. 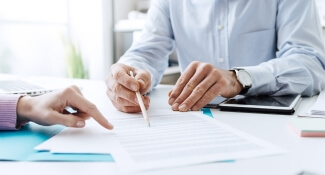 Before you buy your extended warranty of choice, go through the contract and understand what it covers -- and more importantly what it doesn't cover, who it authorizes to repair your car, if there is a deductible and how much that is and whether the warranty is transferable. Ensure it covers both part replacements and labor costs and, at the minimum, repairs to the transmission, engine, front and rear axles and all-wheel-drive or four-wheel-drive system if equipped. Some contracts specify the facilities that will repair your car. Some may stipulate that only the dealership that sold you the car can fix it or that you have to choose a repair shop in a specific network. If that is the case, and you intend to move to another state where you may not access the specified repair facilities, you may end up with an extended warranty that you never use. Also, if the contract is not transferable, it becomes void when you sell the car or give it to a friend or family member. If you are not sure what the contract you are offered says, don’t make assumptions or rely on the promises of the promotional brochure you get. Ensure everything you need to know is spelled out on the contract before you sign it. Extended warranties can be both costly—as much as $3,000 for premium plans—and sometimes unnecessary. A 2013 survey by the Consumer Reports National Research Center found that 55 percent of the people who purchased an extended warranty never used it. The study also found that, on average, people spent more on an extended warranty than they would have spent on repairs if they never had the plan. 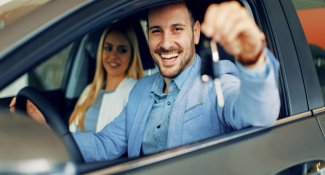 But when buying a vehicle -- particularly a used one -- the right warranty (price and coverage) can be a prudent way to protect your pocketbook from unexpected and costly car repairs. If you are concerned that taking an extended warranty for your used car will be spending too much money on a plan that may not be of value to you, there are a few other ways to keep your car on the road with peace of mind. First of all, when you are in the market for a used car, choose a model with a solid reliability score and ensure it has a good repair record. When you drive it off the lot, commit to following the maintenance schedule recommended by the manufacturer. A well-maintained car can save you thousands of dollars in repair costs. Alternatively, consider setting up a car fund to cover unexpected repairs.